iDancehallReggae.com::Caribbean Lifestyle Media::: BUZZ: Death Before Dishoner last Hurrah! BUZZ: Death Before Dishoner last Hurrah! 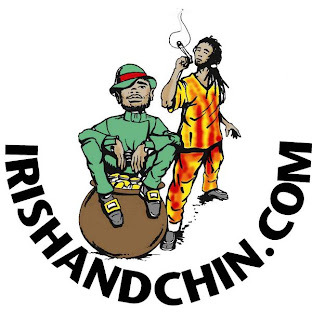 Caribbean Lifestyle Media-Irish & Chin bring the longest running sound clash competition to an end on April 5th, 2010. Chin stated " one of the event's most meaningful moments to me was definitely at Death Before Dishonor 8 during the Vintage Tribute," says Chin. It meant a lot to have the industry's legends Down Beat, King Jammy's, Black Scorpio and Rodigan honored by World Clash stars Black Kat, Mighty Crown, Tony Matterhorn and Bass Odyssey." Death Before Dishonor has seen it share of corporate sponsor and clashes reminiscent of gladiator's fighting for their life. Chin, "Although Death Before Dishonor and the World Clash series have left an indelible mark on sound clash culture, it's time for the clash industry to enter another era....one of younger stars and promoters willing to innovate and/or reinvent what these promoters have brought to the game," and added, "While the sport of sound clash is very entertaining, it's critical that changes are implemented so that it continues to grow and appeal to the next generation of fans." Death before Dishonor takes place for the final time on April 5, 2010 at Pier One in Montego Bay, Jamaica.